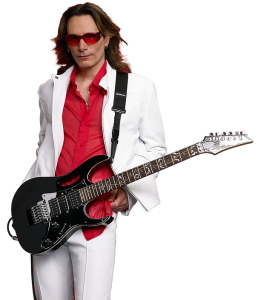 Steve Vai is set to host The Big Mama-Jama Jamathon, an improvisational music/art event this weekend at Musicians Institute’s LiveHouse, in Los Angeles. The festivities begin Friday at 12 p.m. (Pacific), conclude at 4 p.m. Sunday, and will be streamed via www.jamathon.org. Vai will be joined by Al Di Meola, Steve Morse, Lee Ritenour, John Lowery, Dweezil Zappa, Doyle Dykes, Vernon Reid, Nuno Bettencourt, Lee Roy Parnell, Eric Sardinas, Dave Navarro, Allen Hinds, and other musicians, along with celebrities, painters, poets, magicians, visual artists, and speakers in a 52-hour jam featuring non-stop music and other creative activities. 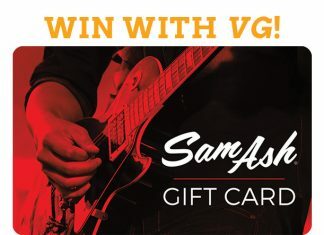 All profits raised at the event and corresponding auction will benefit Extraordinary Families, a non-profit foster/adoption agency in L.A.
Auction items, including instruments donated by Vai, Slash, and others, along with online lessons can be viewed at https://www.jamathon.org/donate. U.S. residents wishing to donate $5 or $25 can do so by texting “20222” and entering the code JAM5 and JAM25. For full details, visit https://www.jamathon.org/txt2give.